Advertise with ACCESS Allegany - Ardent Solutions, Inc.
Where ACCESS Allegany Goes, Your Business Grows! Transit ads dominate daytime advertising, offering high visibility at an easy-to read eye level, generating a tremendous number of exposure opportunities that far exceed electronic and other print mediums for the same dollar invested. 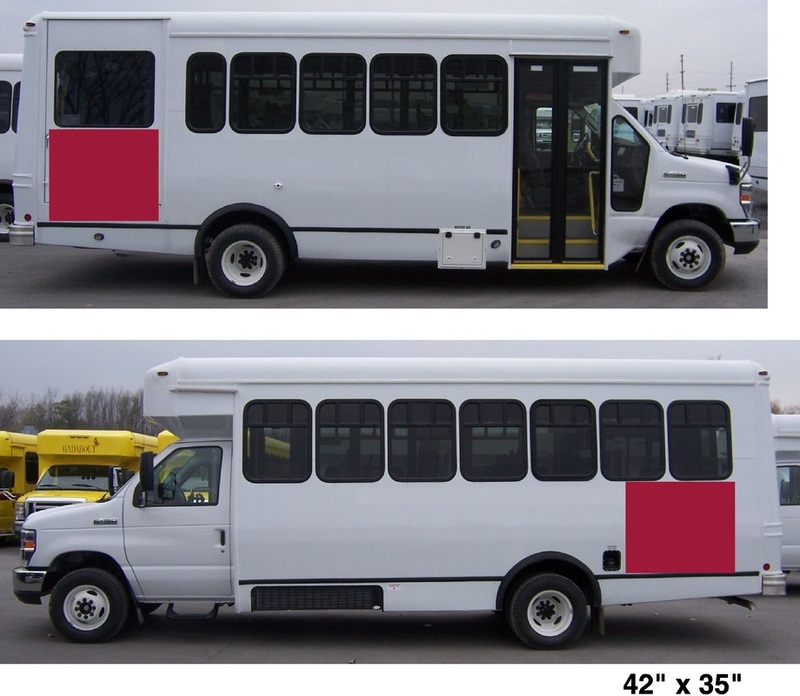 Advertise on the outside of our buses to garner the most impressions possible. Exterior bus advertising is popular for all industries; including private companies and government and nonprofit agencies, because it targets vehicular and pedestrian traffic as an ‘involuntary’ mass medium...it cannot be turned off, tuned out or thrown away. Transit displays go where people work, live and play. It reaches all income levels, providing total market penetration that often cannot be reached by traditional media. AND… buses travel regularly scheduled routes through every geographic area. *Monthly costs. 3, 6 and 12 month contracts available. 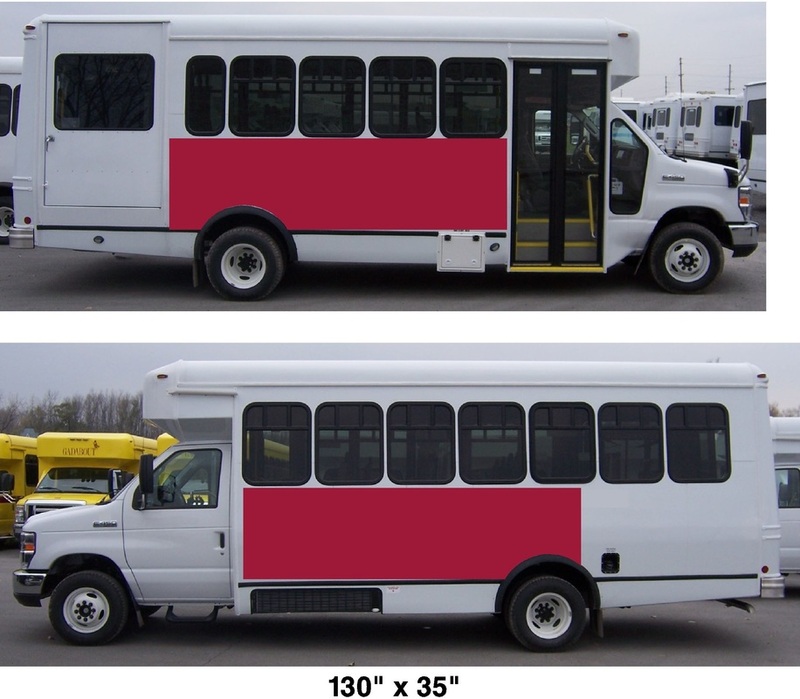 Rates are calculated per bus and do not include design and/or design assistance, production, installation and maintenance of displays. For further information, please review the ACCESS Allegany Advertising Guide. Interior displays reach a captive audience with time on their hands, offering the opportunity to give a more detailed message and ensuring repetitive exposure. This medium is an excellent way to reach commuters. Display monitors are eye-catching and fitted at the front of the bus making them visible to all passengers. Each 30-second ad will run a minimum of 1 time/hour/fixed-route bus (53 total hours/day). Price is for one display ad running on all five (5) vehicles each and every day. for one month. Advertising begins the 1st of each month. For further information, please review the ACCESS Allegany Advertising Guide. Reserve Your Advertising Package Now!